For damaged teeth, veneers can be an excellent solution. 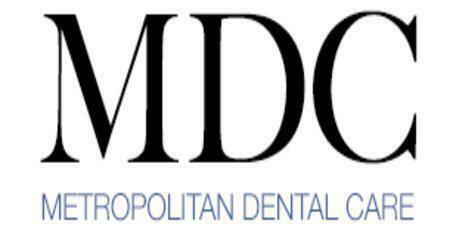 Midtown, New York, NY area dentist Dr. Nicole Mermet specializes in general and cosmetic dentistry, including veneers, bridges and crowns, and much more. Conveniently located by Bryant Park and Grand Central Station. Veneers are ultra-thin porcelain sheets that are adhered to the front of the teeth with a special resin cement. This resin cement creates an extremely strong bond, so strong that patients won't need to worry about shifting or falling off. Veneers are considered a long-term type of correction. In most cases, veneers are used for the teeth that are most prominent when smiling, such as the central and lateral incisors. Veneers are individually fabricated so that they exactly match the shape and dimensions of the tooth that they will be adhered to. Veneers are used to correct a wide range of issues with the teeth. Any type of visible damage such as cracks or pits can be disguised with veneers. Dental veneers are often also used to bring worn teeth back to their former appearance. Teeth sizing issues can even be corrected with veneers. In cases of minor misalignment, veneers may be used to make the teeth look as if they are properly aligned. Most veneers will last for 10 years or longer. Some patients, particularly those who take very good care of their teeth, will enjoy a 20-year lifespan from their veneers. Because veneers are exposed to the same type of daily wear and tear as the natural teeth, they can suffer damage just like those natural teeth can. As long as the veneers are cared for just as carefully as the natural teeth are, patients can get the maximum amount of usage from them. Will Veneers Blend With the Natural Teeth Around Them? Yes, the dentist will help the patient determine what degree of whiteness they want on the dental veneers. The surrounding teeth can then be whitened to create a uniform look among the teeth.